Cork surface is self-healing and will provide years of use. The aluminum frame has an easy four-corner mounting system and can be mounted vertically or horizontally. Board Type: Bulletin; Board Width: 48"; Board Height: 72"; Board Depth: 3/4". Cork surface is self-healing and will provide years of use. Wood frame gives a warm ambiance. Can be mounted vertically or horizontally. Board Type: Bulletin; Board Width: 48"; Board Height: 96"; Board Depth: 3/4". Cork surface is self-healing and will provide years of use. The aluminum frame has an easy four-corner mounting system and can be mounted vertically or horizontally. Board Type: Bulletin; Board Width: 48"; Board Height: 96"; Board Depth: 3/4". Sturdy easel features an easy-to-clean dry-erase board with a useful no-pinch pad retainer, making it ideal for writing and presenting. Overall height is adjustable, allowing you to use it as a tabletop or floor stand. Appealing frame fits into any environment. Four-leg design ensures stability. 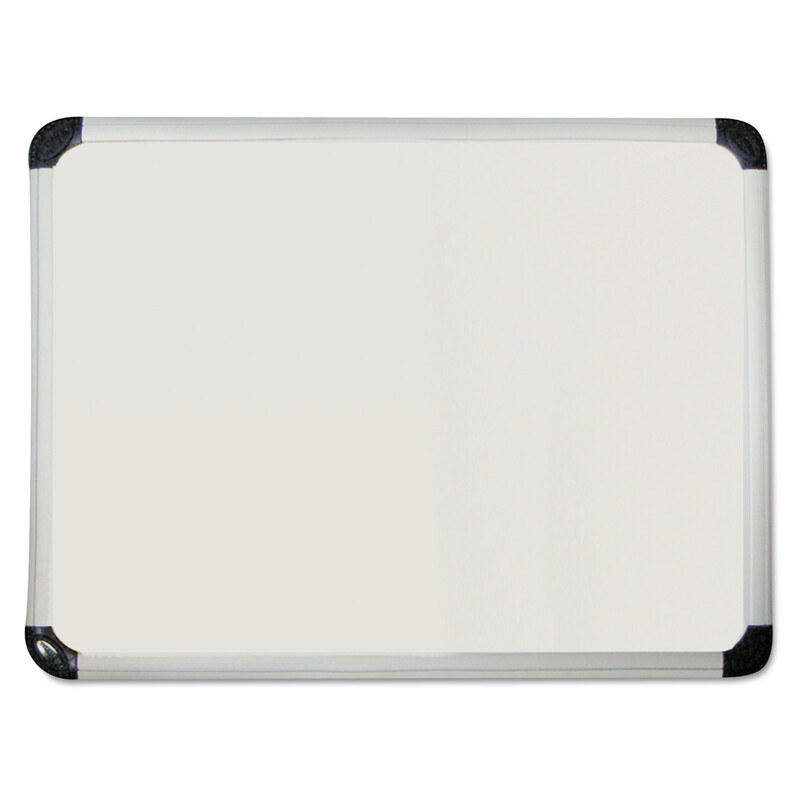 Board Type: Dry Erase; Board Width: 29"; Board Height: 41"; Surface Material: Melamine. Non-magnetic easy clean surface wipes clean every time. Surface is suitable for moderate use. Frame is sturdy aluminum with an easy to mount four-corner system that can be mounted vertically or horizontally. 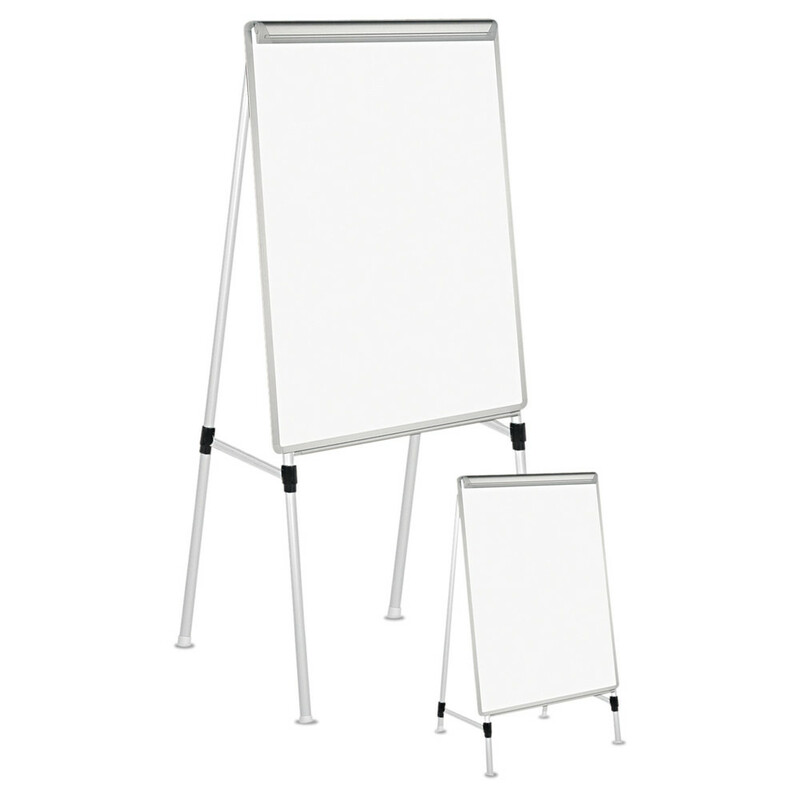 Board Type: Dry Erase; Board Width: 48'; Board Height: 72"; Board Depth: 3/4". 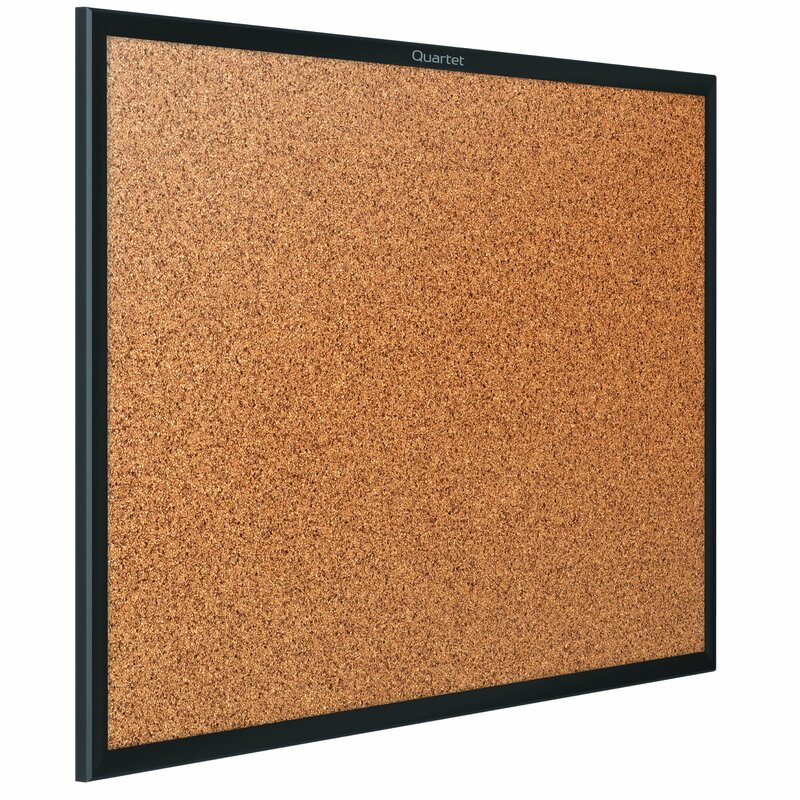 Basic and straightforward, our cork boards offer efficient and versatile solutions for office and business communication. 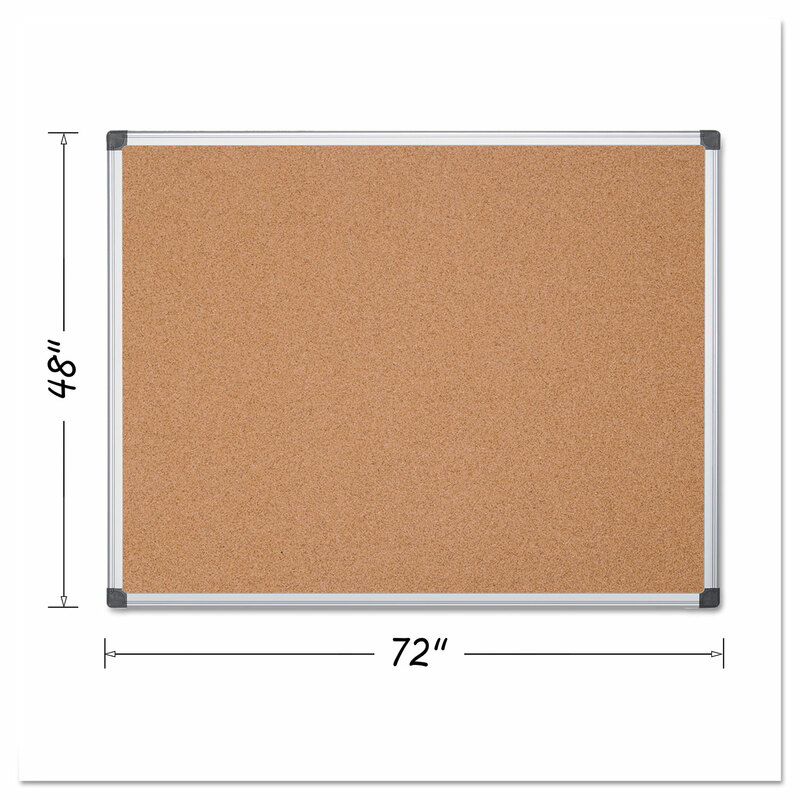 Durable, resilient cork board has a stylish frame. Board is 97% recyclable. Ideal for intensive use. 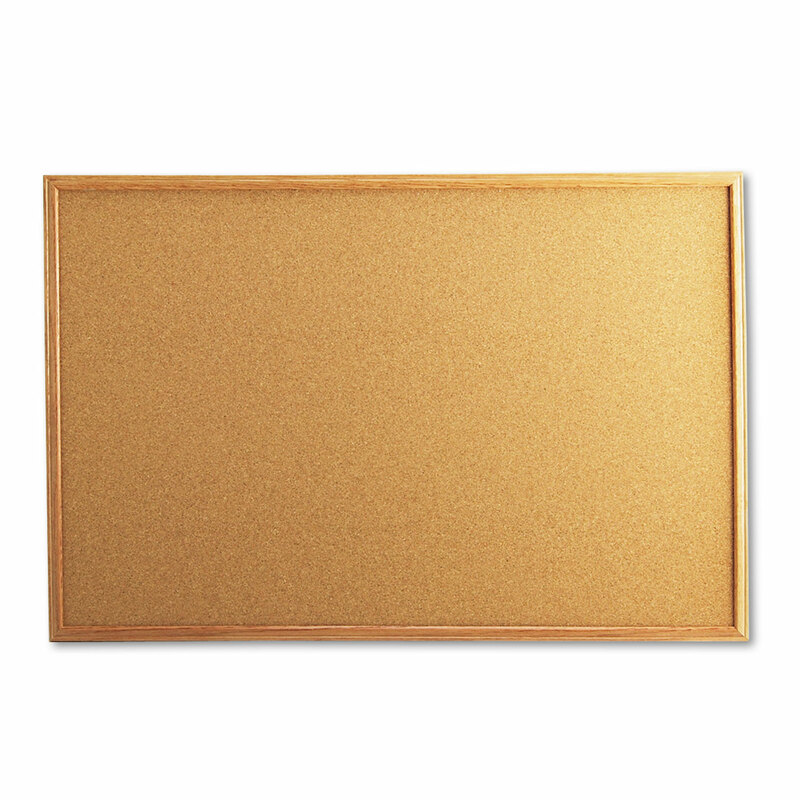 Board Type: Bulletin; Board Width: 72"; Board Height: 48"; Surface Material: Cork. A stylish, classic design paired with old-school durability. 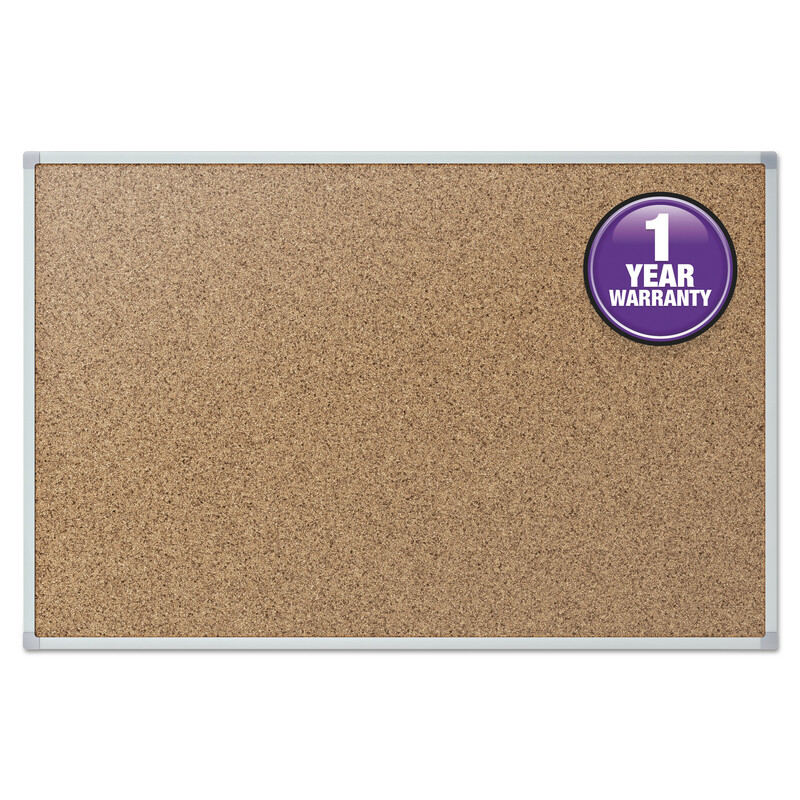 Board features a 1/32�-thick, self-healing all-natural cork surface and a thick fiberboard backing. Attractive oak-finished, 3/4"-wide, mitered-corner frame. 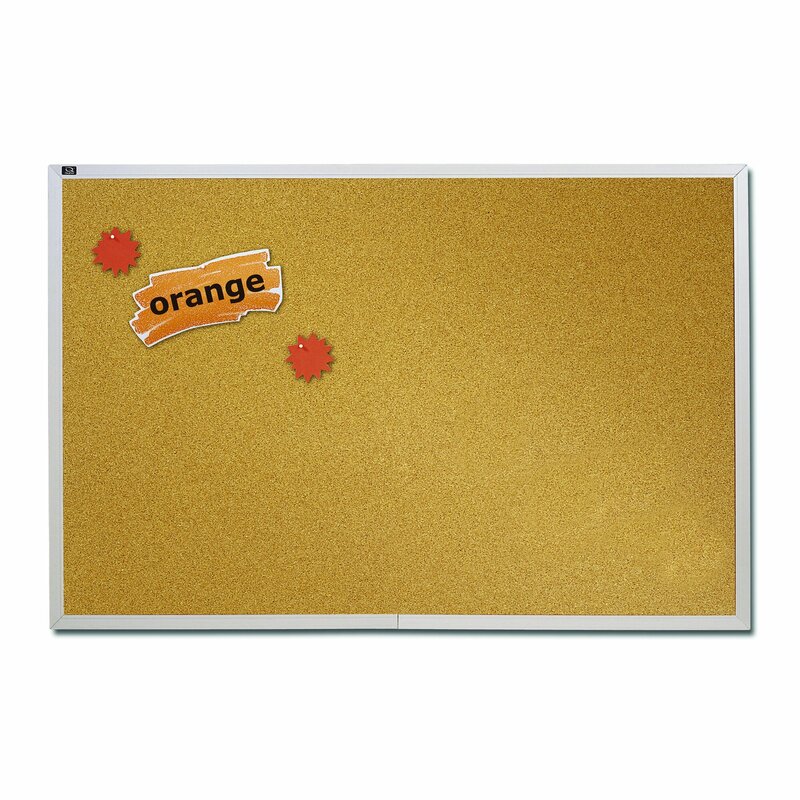 Board Type: Bulletin; Board Width: 36"; Board Height: 24"; Surface Material: Cork. Stylish wall-mountable board is an indispensable office addition. Melamine surface accepts all dry-erase markers. Contoured aluminum frame features attractive, protective black-plastic corners. Fireproof board backing. Extra-wide marker/eraser tray. May be mounted vertically or horizontally. Board Type: Dry Erase; Board Width: 48"; Board Height: 36"; Surface Material: Melamine. Cork surface is self-healing and will provide years of use. Wood frame gives a warm ambiance. Can be mounted vertically or horizontally. 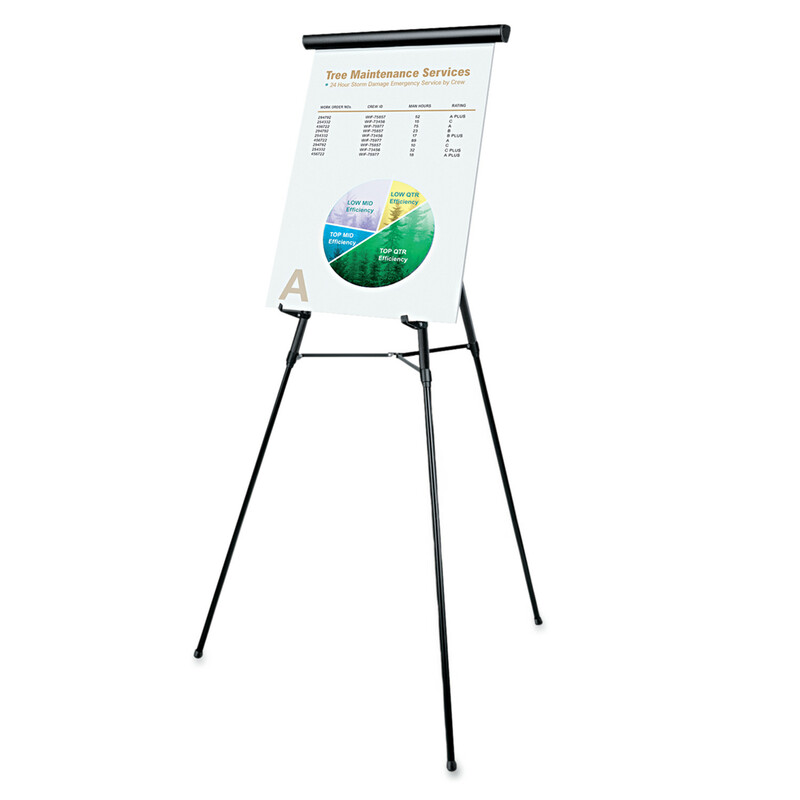 Board Type: Bulletin; Board Width: 36"; Board Height: 48"; Board Depth: 3/4". Perfect for personal work areas. Sleek black, heavy-duty frame. Four-corner system enables vertical and horizontal mounting. Board Type: Dry Erase; Board Width: 48"; Board Height: 36"; Surface Material: Melamine. A high-quality, value-priced easel pad with no release liner. Self-sticking sheets adhere to most surfaces and leave no messy residue. 20-lb. bleed-resistant paper. Convenient carrying handle. Pad Type: Easel; Sheet Size: 25" x 30"; Ruling: Unruled; Number of Sheets per Pad: 30. The magnetic porcelain baked enamel Platinum Plus surface resists staining, ghosting and scratching, suitable for extensive use. Sturdy aluminum frame with an easy to mount four-corner system that can be mounted vertically or horizontally. 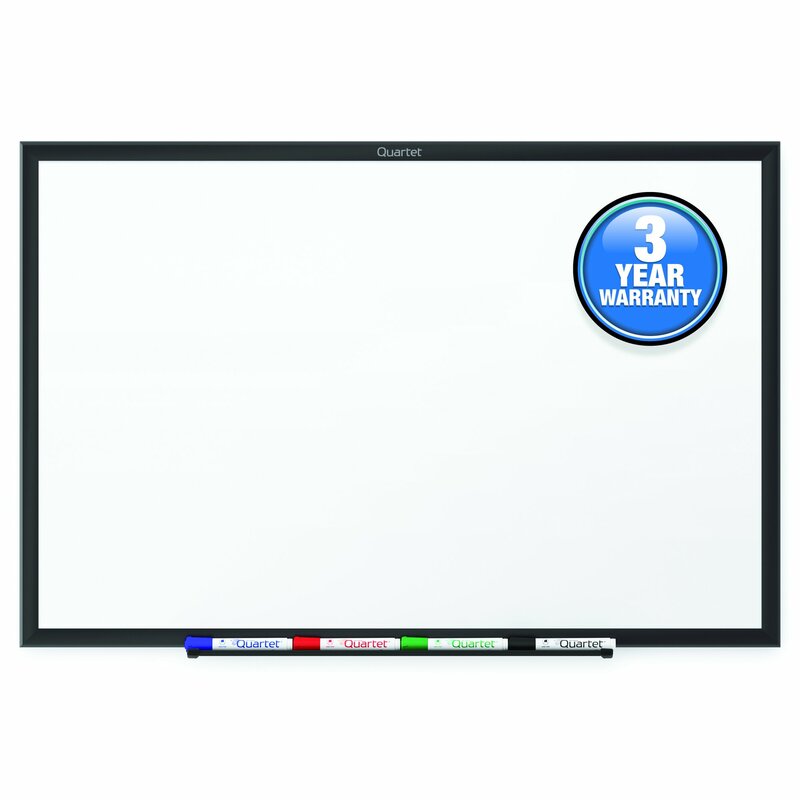 Board Type: Magnetic Dry Erase; Board Width: 48"; Board Height: 96"; Board Depth: 1". Versatile, natural cork bulletin board is useful in any classroom. Mount corkboard to wall using included hanging system. 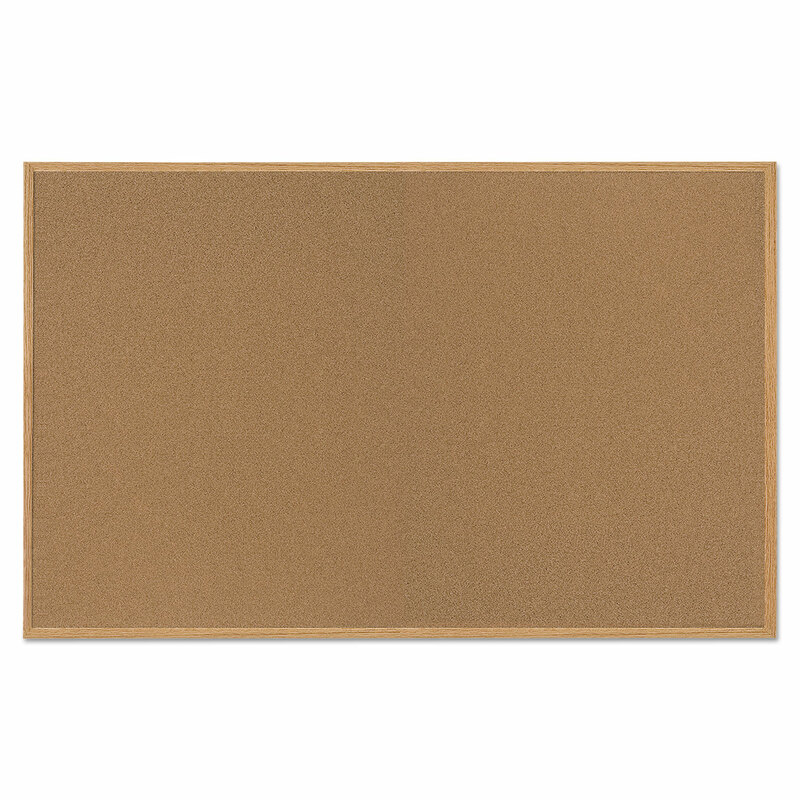 Board Type: Cork Bulletin; Board Width: 72"; Board Height: 48"; Surface Material: Cork. Magnetic lacquered steel Gold Ultra� surface resists staining, suitable for frequent use. The frame is sturdy aluminum with an easy-to-mount four-corner system that can be mounted vertically or horizontally. 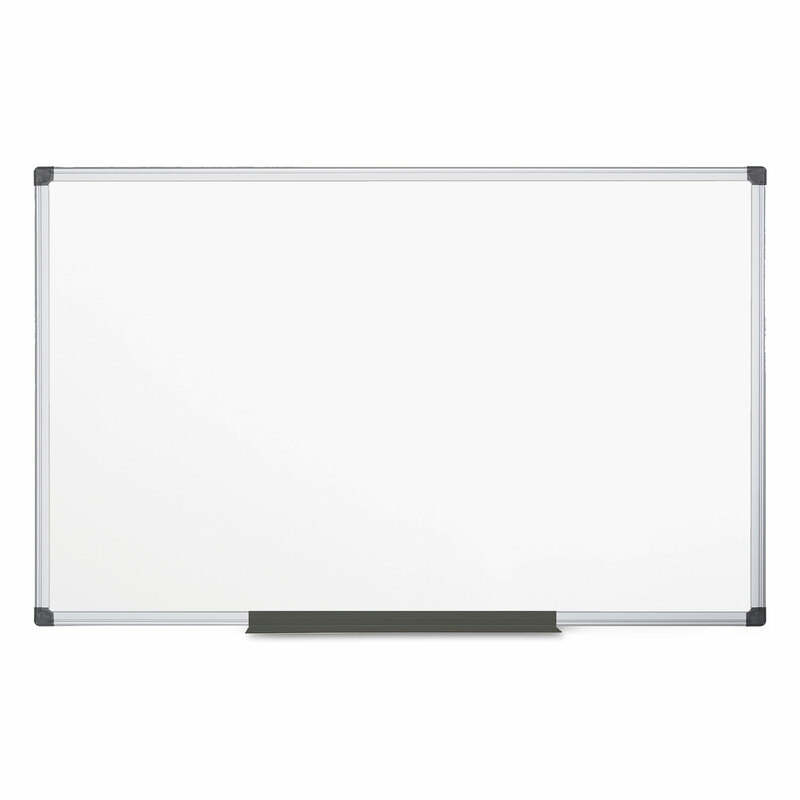 Board Type: Magnetic Dry Erase; Board Width: 72"; Board Height: 48"; Board Depth: 3/4". Bulletin board is easy to hang and perfect for home offices. Self-healing cork reseals to eliminate unsightly pin holes and prevent crumbling. 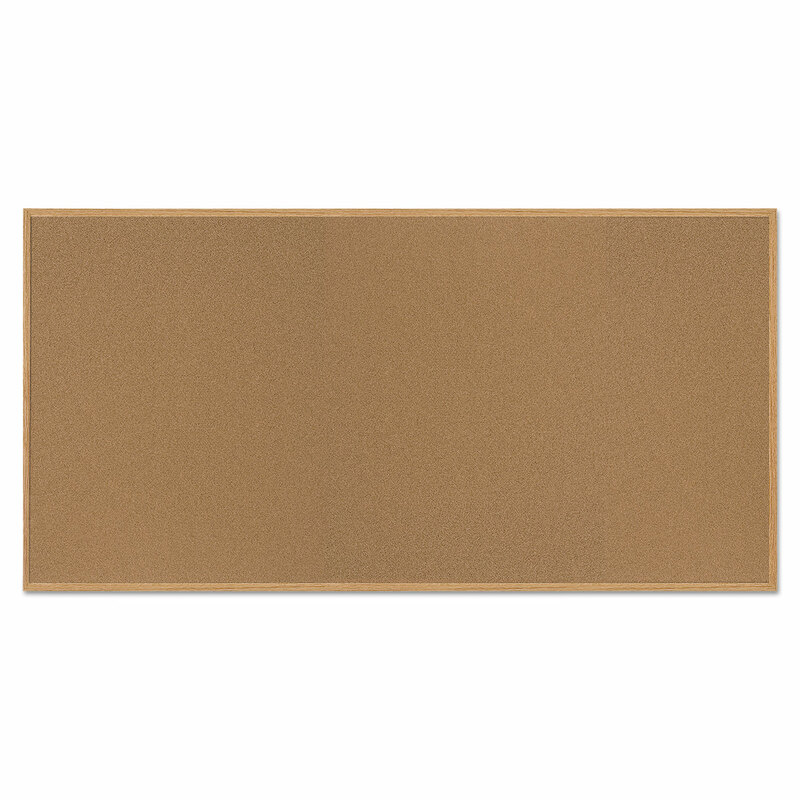 Board Type: Bulletin; Board Width: 96"; Board Height: 48"; Surface Material: Cork. Lightweight easel with adjustable 3/4� aluminum tubular legs that securely twist-lock. Fully adjustable height�extend to 64� floor display or downsize to 34� tabletop display. No-pinch pad retainer makes one-handed operation effortless. Use with or without easily attachable and adjustable pad holder that slides into position. 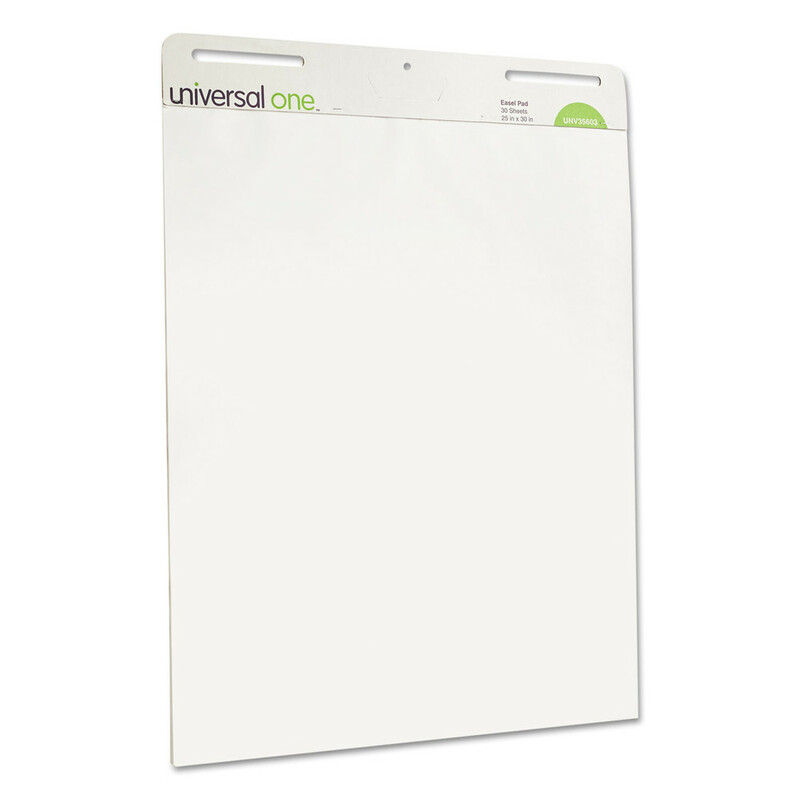 Holds easel pad as large as 27� x 31 1/4� or only a single sheet. Conveniently downsize for storage and transport. Supports up to 25 lbs. of display materials. Easel Type: Pad Retainer; Minimum Easel Height: 34"; Maximum Easel Height: 64"; Material(s): Aluminum. Magnetic porcelain surface resists staining, scratching and ghosting. Designed for heavy-use environments, it wipes clean every time! Four-corner mounting system makes positioning and installing the board easy and hassle-free. 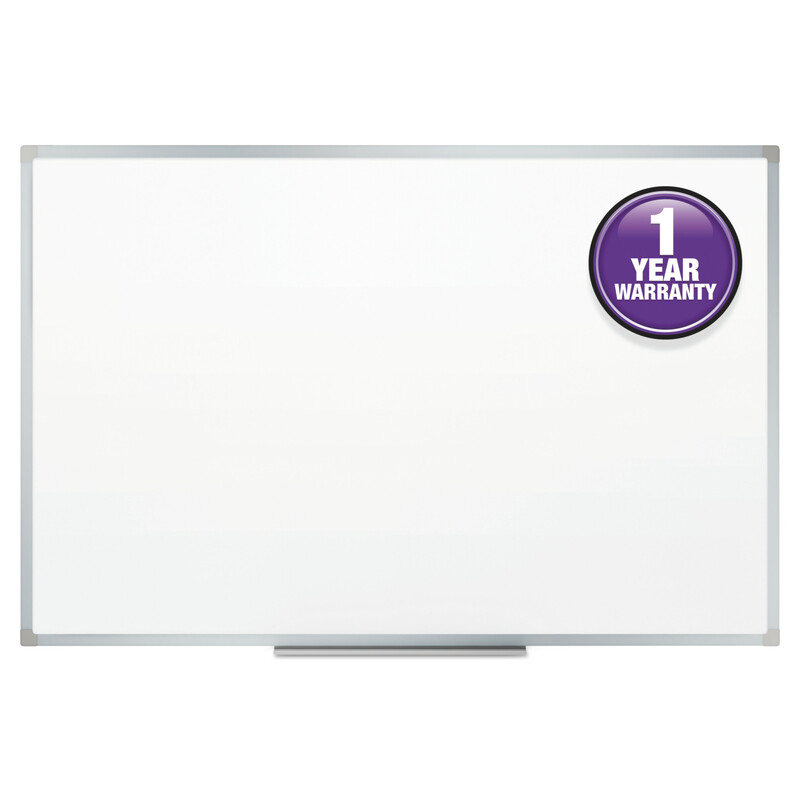 Board Type: Magnetic Dry Erase; Board Width: 72"; Board Height: 48"; Board Depth: 7/10". Made from a renewable, recyclable resource�sugarcane waste (bagasse). Features perforated pages for easy tear-out. Pad Type: Easel; Sheet Size: 27" x 34"; Ruling: Unruled; Number of Sheets per Pad: 50. Get two chalkboards in one. Simply turn the hand dial to flip the easel and reveal a fresh writing surface. 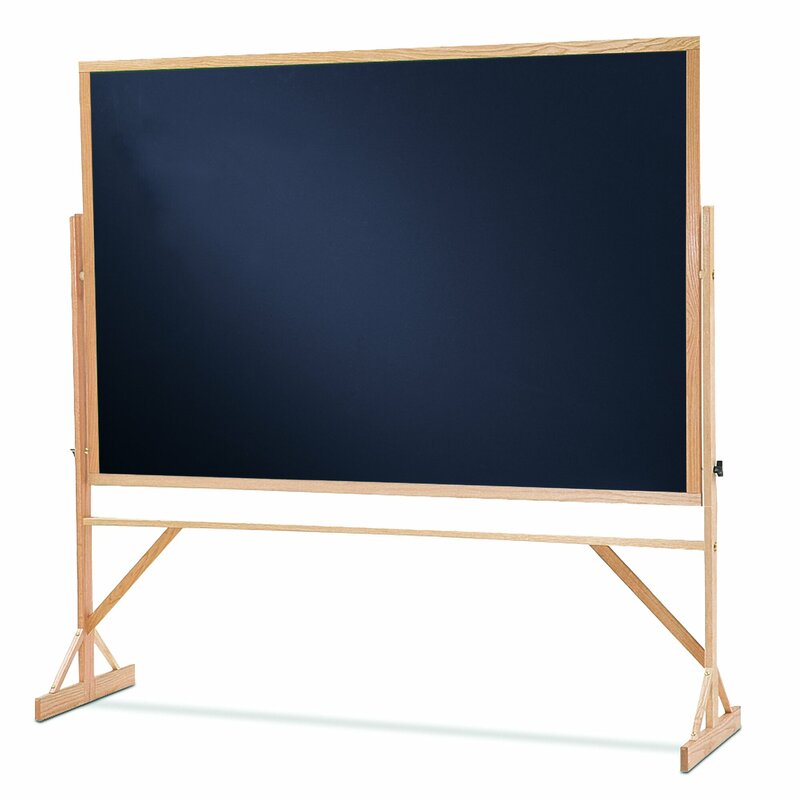 Board Type: Chalk; Board Width: 72"; Board Height: 48"; Surface Material: Chalkboard. 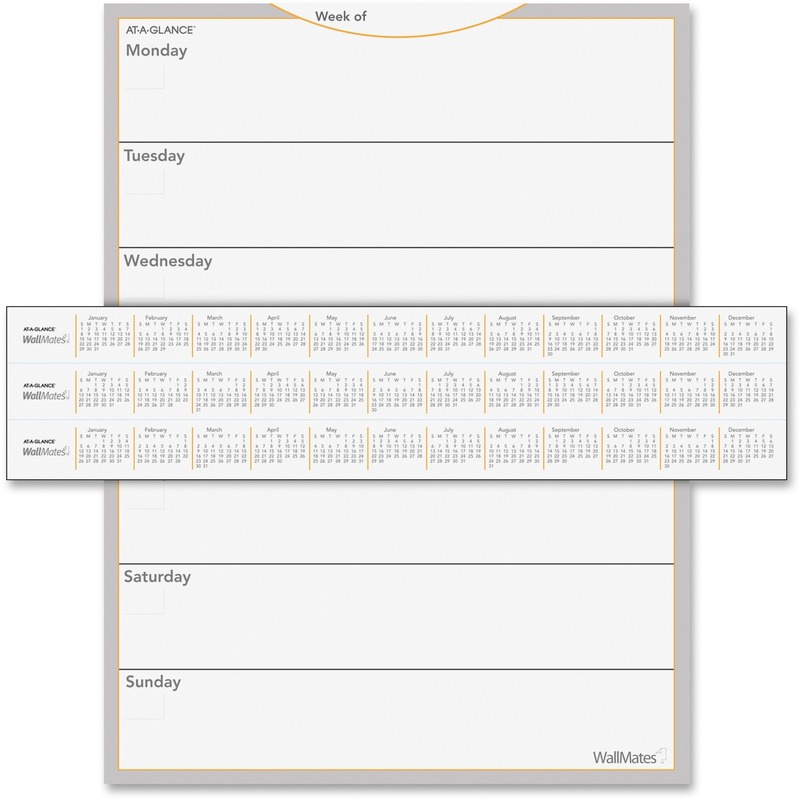 Turns almost any smooth surface into a custom dry-erase planning center. Self-adhesive backing allows quick and easy mounting to any hard, smooth surface�just peel, stick and you're done. Available in weekly, monthly and calendar-year formats. Dry-erase marker included. Large, undated daily blocks with Monday start and three-year reference calendar. Size: 18 x 24; Page Color/Theme: Gray/White/Orange; Julian Dates: No; Page Format: One Week per Page. Drilled to fit standard easels. Perforated sheets for easy removal from pad. Pad Type: Easel; Sheet Size: 27" x 34"; Ruling: Ruled; Number of Sheets per Pad: 50. Magnetic lacquered steel Gold Ultra� surface resists staining, suitable for frequent use. The frame is sturdy aluminum with an easy-to-mount four-corner system that can be mounted vertically or horizontally. Board Type: Magnetic Dry Erase; Board Width: 96"; Board Height: 48"; Board Depth: 3/4". 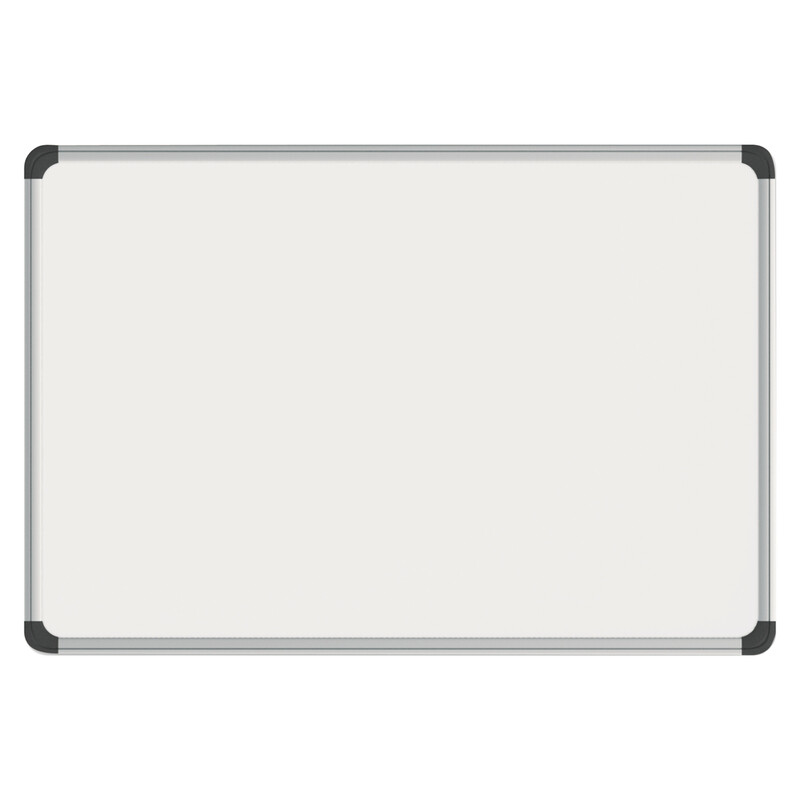 2-in-1 Eraser works on chalkboards and whiteboards. 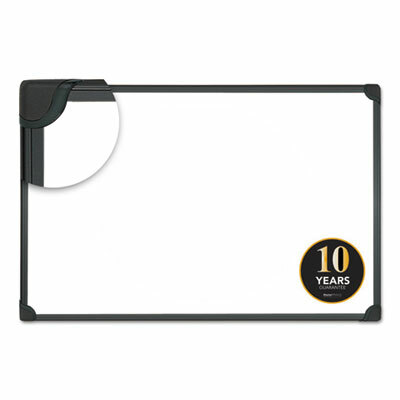 Felt eraser pad is reversible for 2X the use and is excellent at removing chalk and dry-erase ink. Eraser is magnetic to store directly on board surface. Spot-Erase Friendly Form easily reaches corners. Soft foam handle. 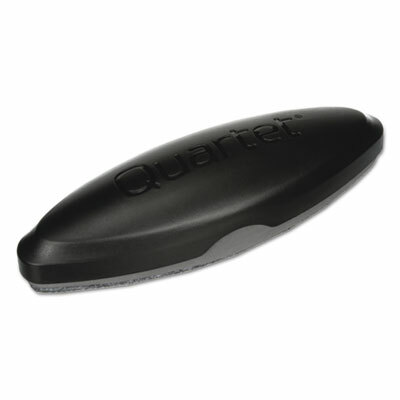 Board Eraser Type: Chalkboard/Dry Erase; Pad Material: Felt; Width: 2"; Depth: 1 3/8". 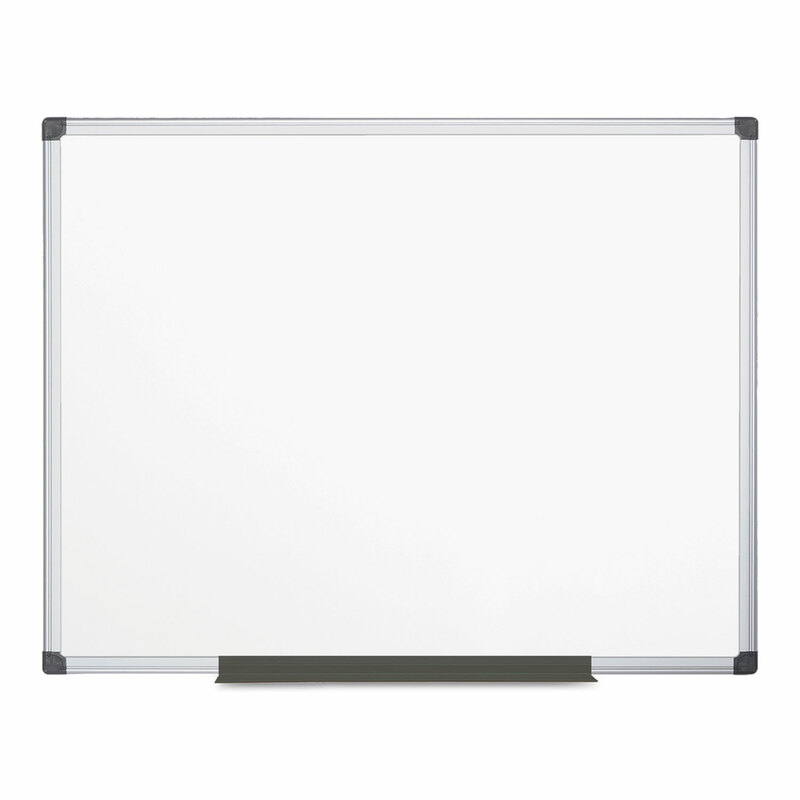 Never forget another meeting with this versatile dry-erase board. Dry-erase surface makes writing less of a chore, so you can jot down important reminders and appointments. This durable board hangs horizontally and vertically and is easy to install with the included mounting system. Board Type: Dry Erase; Board Width: 48"; Board Height: 36"; Surface Material: Melamine. Dry-erase board doubles as magnetic bulletin board. Magnetic lacquered-steel surface is suitable for frequent use and is compatible with all dry-erase markers. Four-corner system enables vertical and horizontal mounting. 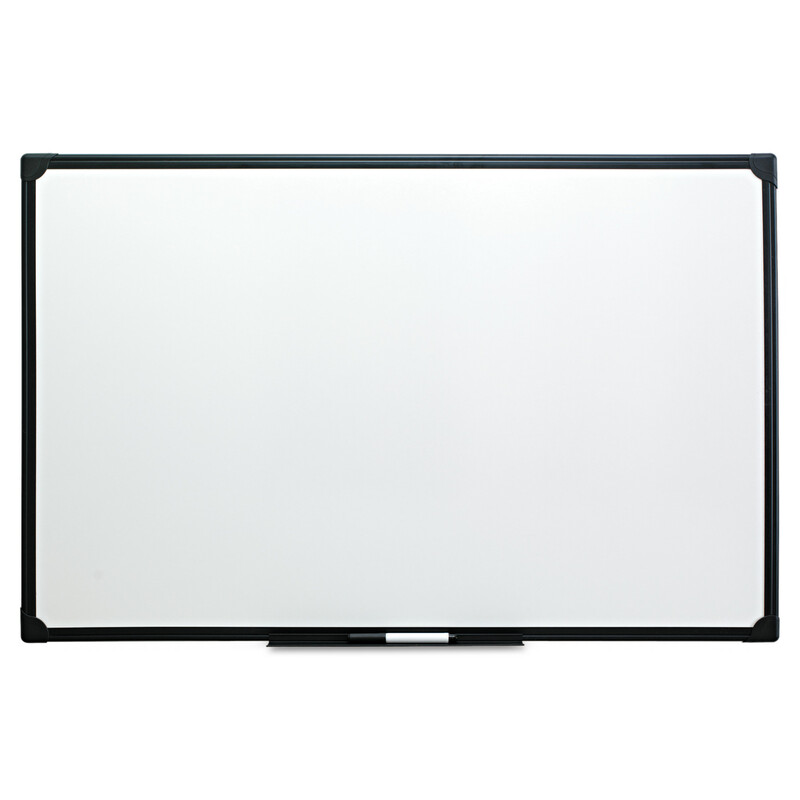 Board Type: Magnetic Dry Erase; Board Width: 24"; Board Height: 18"; Board Depth: 1/2". 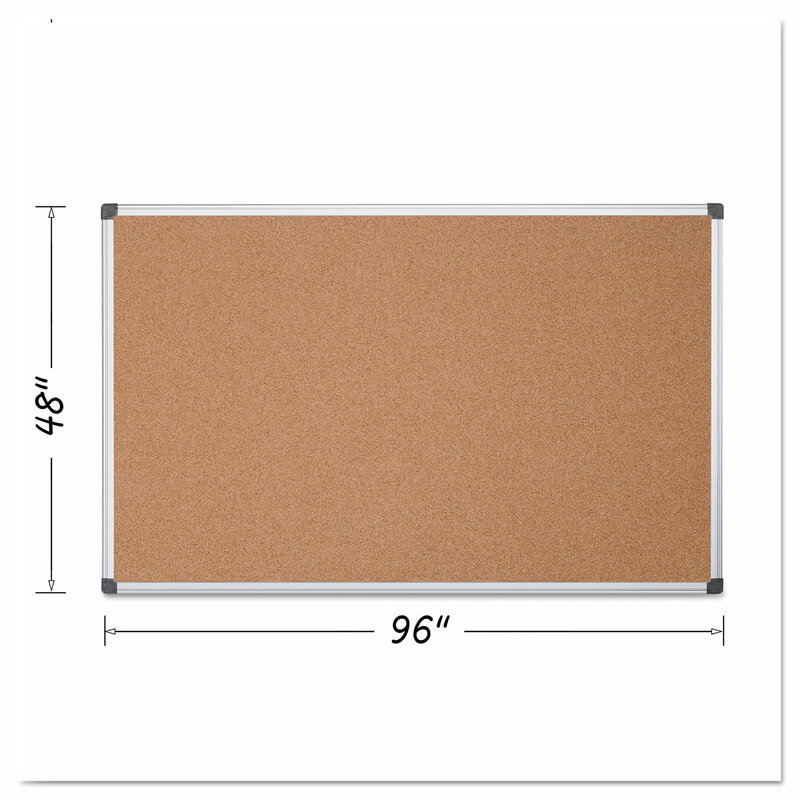 WOOD FRAME CORK BULLETIN BOARDS Basic wood frame boards Made of quality construction Natural cork board material 35-380352Q 23X35 NAT CRK BOARD SIZE:23" x 35"
Never forget another meeting with this versatile dry-erase board. Dry-erase surface makes writing less of a chore, so you can jot down important reminders and appointments. This durable board hangs horizontally and vertically and is easy to install with the included mounting system. 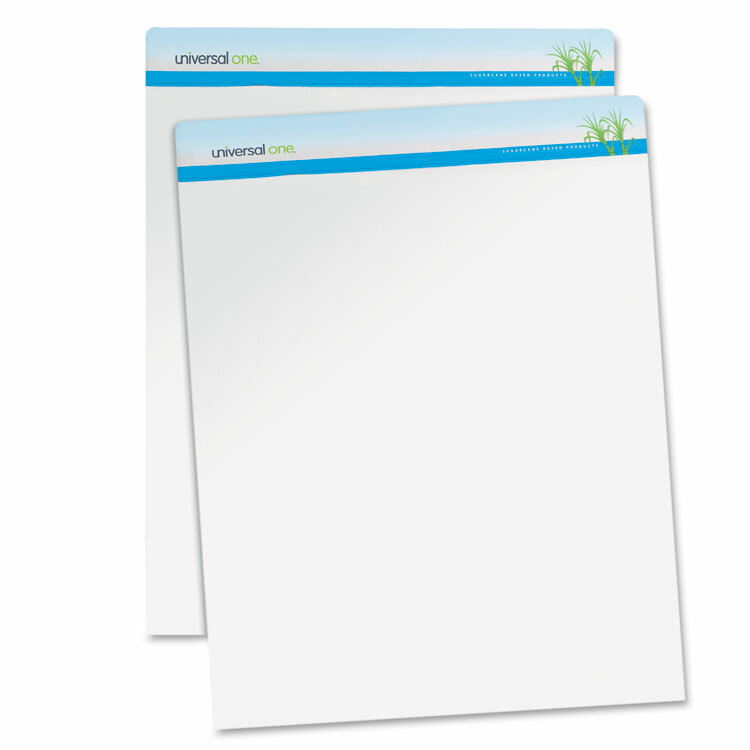 Board Type: Dry Erase; Board Width: 72"; Board Height: 48"; Surface Material: Melamine. From important business notes to inspirational posters, you often need a place to hang up documents. 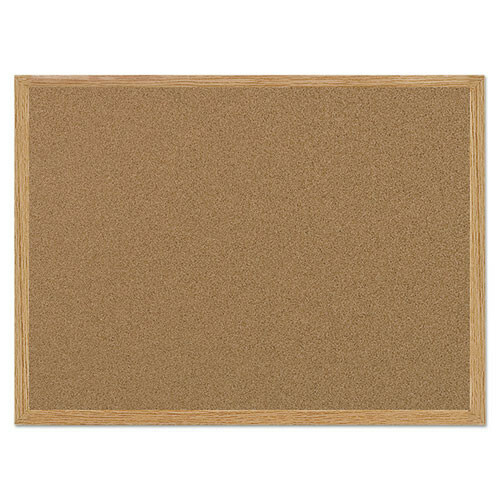 This standard, natural-cork bulletin board is durable and easy to use. Push pins or thumbtacks securely hold papers and photos in place. 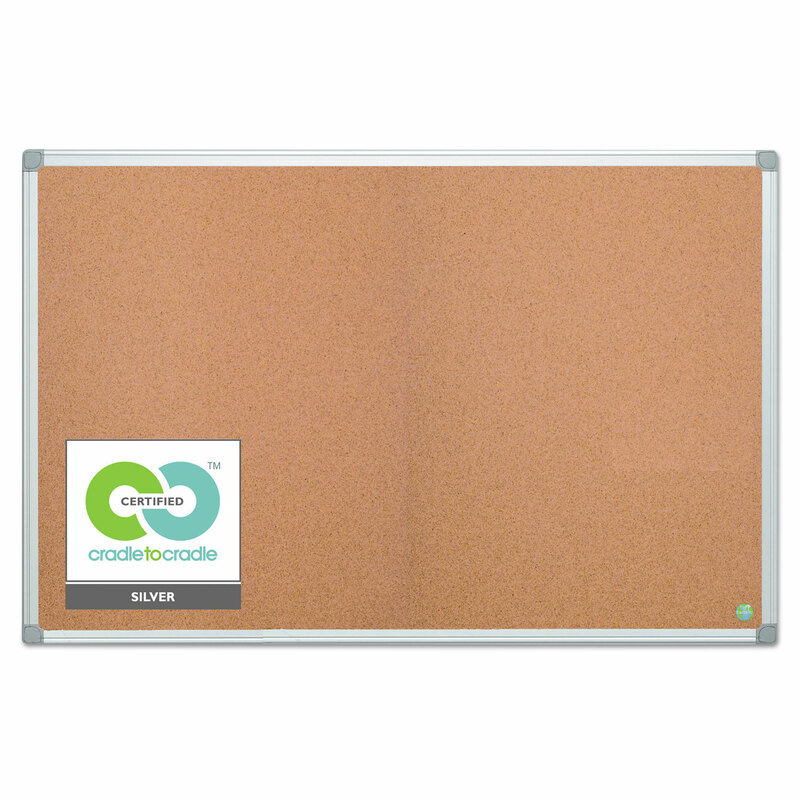 Board Type: Bulletin; Board Width: 72"; Board Height: 48"; Surface Material: Cork. Cork surface is self-healing and will provide years of use. Wood frame gives a warm ambiance. Can be mounted vertically or horizontally. Board Type: Bulletin; Board Width: 48"; Board Height: 72"; Board Depth: 3/4". Sleek black, heavy-duty frame sets the Design Series apart, lending it a contemporary style that's perfect for personal and communal settings. 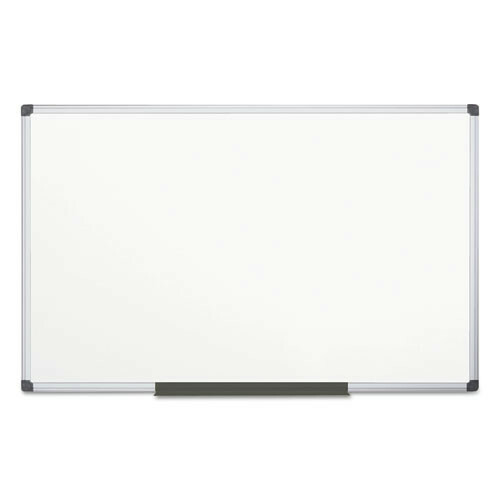 Lacquered steel surface doubles as both a dry-erase board and a magnetic bulletin board, and it also makes this board ideal for frequent-use environments. Four-corner system enables vertical and horizontal mounting. Compatible with all dry-erase markers. 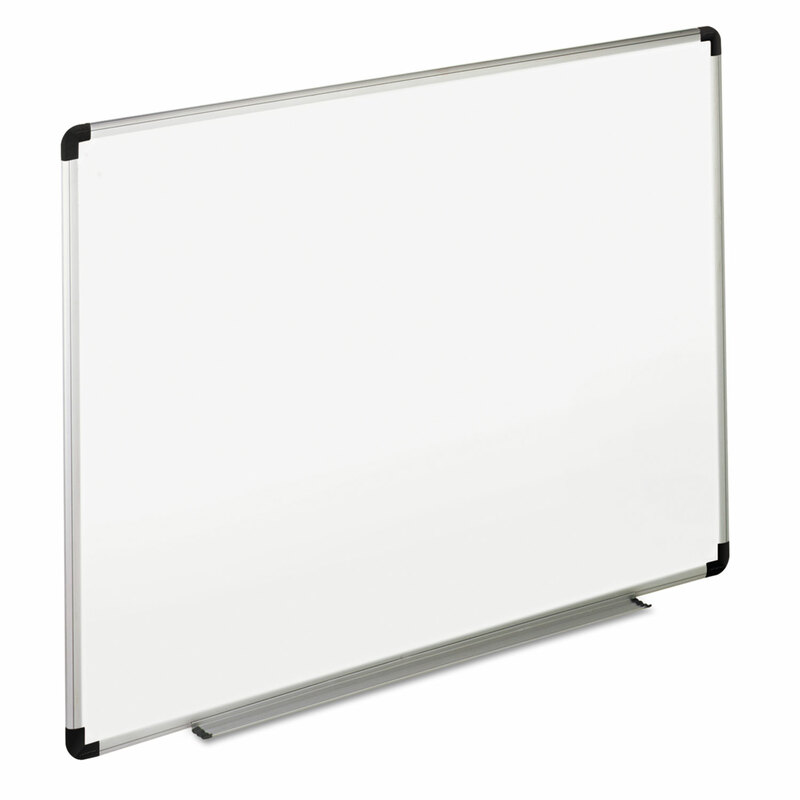 Board Type: Magnetic Dry Erase; Board Width: 36"; Board Height: 24"; Board Depth: 1/2". 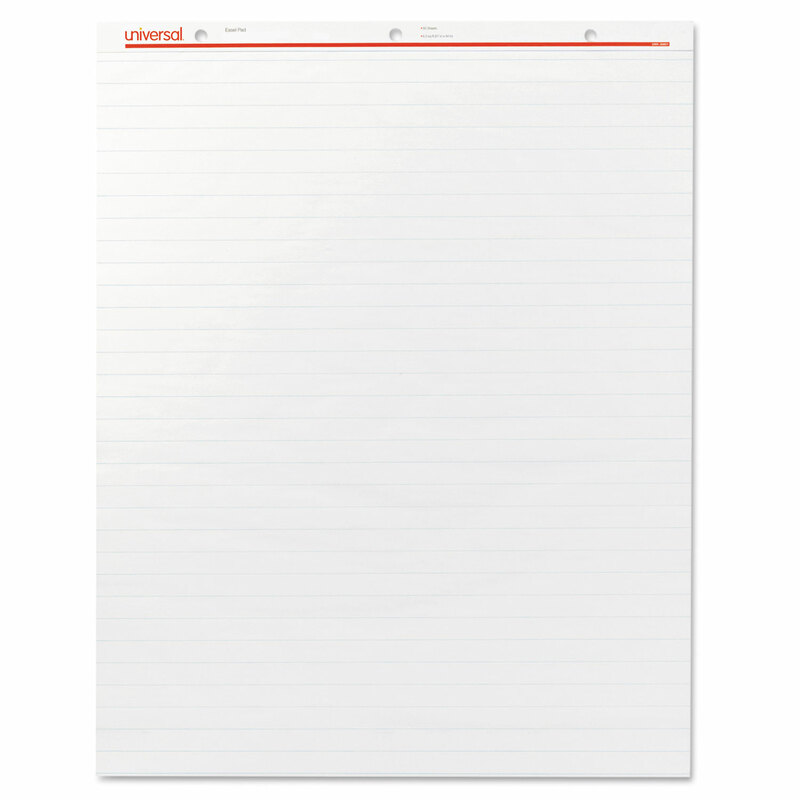 Standard whiteboard has a smooth and durable writing surface, useful for jotting down notes, organizing ideas and brainstorming. Various size options and flexible mounting?fits into any space. Board Type: Dry Erase; Board Width: 72"; Board Height: 48"; Surface Material: Melamine. Easy-to-clean melamine board features a convenient tripod design. Sturdy and stylish, you can place it just about anywhere. Great for hotels, schools, libraries, hospitals, executive offices, conference rooms, board rooms and more. 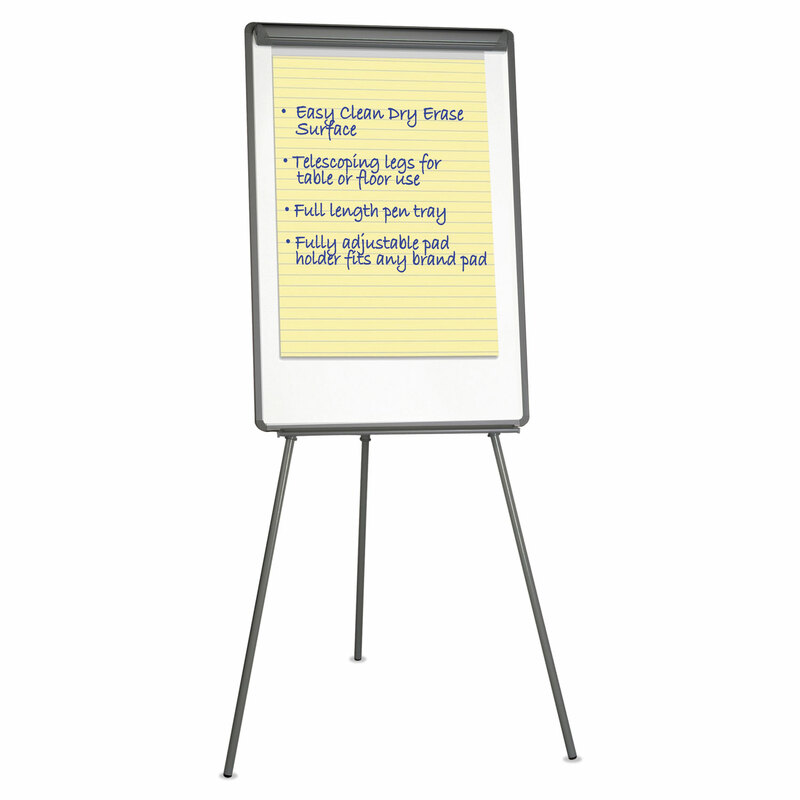 Board Type: Dry Erase Easel; Board Width: 29"; Board Height: 41"; Surface Material: Laminate.